Ellen Roberts is a lawyer in Durango, focusing in the area of water law and natural resources consulting. 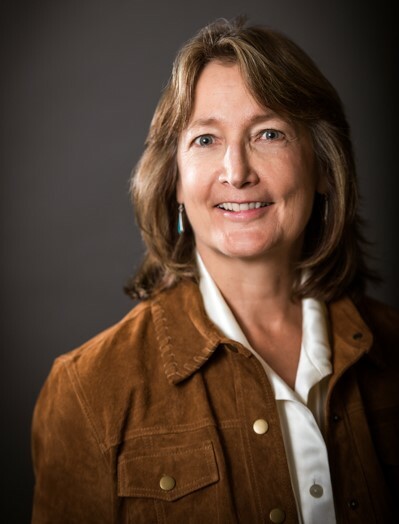 Since leaving the Colorado General Assembly at the end of 2016, Ellen’s re-established her Durango-area law practice and, in her consulting practice, is working with governmental entities, nonprofits and private foundations on forest health and water issues. Ellen served in the Colorado legislature for 10 years, representing many counties in the southwestern corner of the state. She served in both the House and the Senate, finishing her last two years as Senate President Pro Tempore. In the legislature, Ellen worked on many natural resources policy issues, including water and forest health, and wrote and sponsored legislation in these areas. She served as chairwoman of the 2015 Water Resources Review committee and of the 2016 Wildfire Matters Interim committee. A graduate of the University of Colorado’s School of Law, Ellen received her undergraduate degree from Cornell University’s College of Agriculture and Life Sciences. Early on, Ellen worked in several Western national parks, including Rocky Mountain National Park, and as a ski lift operator in Winter Park in 1981. Ellen can be reached at ellen@ellenroberts.com. J.D., University of Colorado, 1986, coursework focused on natural resources curriculum. B.S., Cornell University, College of Agriculture & Life Sciences, 1981, major in Environmental Policy. Ellen S. Roberts, LLC, (2017-present), law practice focused on water issues, as special counsel with the Trout Raley firm, and also working as a consultant with governmental entities, nonprofits and private foundations on forest health and water policy issues. Also previously worked at several small firms on western slope and for DNA, Navajo Legal Services, as a law clerk. Served in the Colorado Senate, 2011- 2016, representing Archuleta, Dolores, La Plata, Montezuma, Montrose, Ouray, San Juan and San Miguel counties; Held the leadership position of Senate President Pro Tempore, 2015-2016, and chaired the Water Resources Review Committee and the Wildfire Matters Interim Committee (focused on forest health and watershed protection) in 2015 and 2016, respectively. Served in the Colorado House of Representatives, 2007-2010, representing Archuleta, La Plata, Montezuma and San Juan counties. 6th Judicial District Performance Commission, Commissioner - Appointed by the President of the Colorado State Senate to serve on the Judicial Performance Commission for the 6th Judicial District, including La Plata, Archuleta and San Juan counties in southwest Colorado. "Marketing by More Doing, Less Handwringing" , State of Colorado efforts to improve Forest Products Marketing, Society of American Foresters, CO/WY annual meeting, April, 2018. "Water Resources Challenges and Opportunities Facing Southwestern Colorado", SGM 2017 Fall Forum series. "How Water Law is Made Today", American Planners Association 2017 Colorado State Conference. "Healthy Forests and Districts", Special District Association of Colorado 2017 annual conference. "West Slope Water Diplomacy - What Does the Future Hold? ", Colorado Foundation for Water Education & Special District Association of Colorado. “Suitable Governance in Modern Times - Colorado Water Management”, Colorado Water Congress 2017 annual conference. International faculty team member of the National Conference of State Legislatures’ International Program, sponsored by the U.S. State Department, to present workshops on legislative effectiveness, governmental transparency and accountability, and constituent relations with provincial parliamentarian legislators and officials in Algeria (2009), South Africa (2011), Mozambique (2013), and India (2015). Ellen welcomes the opportunity to consult with private and governmental entities as well as NGO's on such topics as strategic planning, public engagement and deliberation, and project completion in natural resources issues. Ellen honed her skills in these areas in the complicated, and often contentious, legislative and legal worlds and she excels in working collaboratively with others to reach concrete, constructive resolution of complex, multi-stakeholder challenges.